St. Angela’s is a long-established 500-pupil girls’ secondary school, dating from the late 19th Century, situated on a steeply sloping site on St. Patrick’s Hill in Cork. Local award-winning architectural practice O’Donnell & Tuomey were first commissioned to consider the development possibilities of the site in 1999. The transition from initial feasibility studies to eventual completion of construction works was a slow process lasting sixteen years. Over this period O’Donnell & Tuomey worked closely with the school community, making the case for its continued existence on its inner city site and resisting the pressures to relocate city centre schools to the suburbs. The existing school acquired the neighbouring convent site, allowing it to expand on this restricted urban plot. 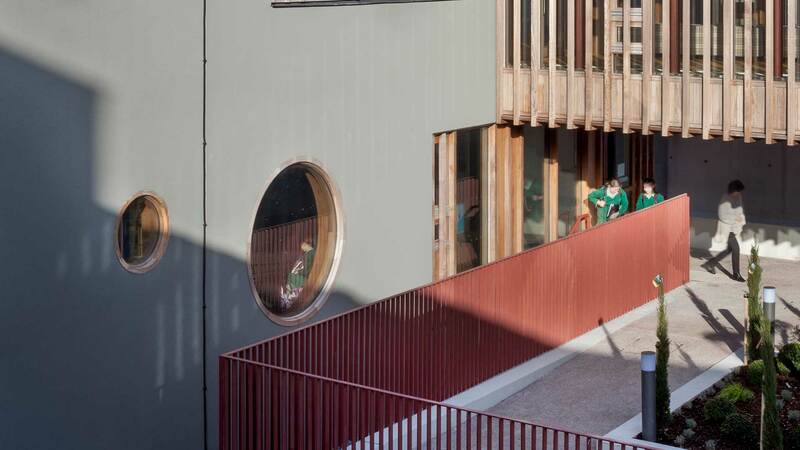 A continuous external route from top to bottom negotiates the 18 metre drop in site levels, connecting orchard garden, courtyards, classrooms, and playgrounds. Four nineteenth-century buildings were refurbished and two new purpose-designed buildings were added. The biggest challenge was to incorporate a full-size sports hall on this confined hillside, and the decision was made to locate the concrete structure on the lowest part of the site. Its roof makes new ground on the site and provides a sunny terrace and ball-court with views out over the city below. The specification of the new structures included the installation of webertherm XM EWI which has been finished with webersil P to deliver efficient thermal performance together with an attractive and decorative finish. The BBA, NSAI certified and Energy Saving Trust listed webertherm XM EWI is a lightweight external wall insulation system incorporating thin-coat polymer render with mesh cloth reinforcement. The highly energy efficient webertherm XM has achieved a U-value of 0.16W/m²K. Suitable for both new-build and refurbishment projects, webertherm XM EWI can extend the life of existing buildings, by keeping the old structure warm and stable, and it is being used more and more to simplify wall construction within the new-build sector to provide cost effective, fast-track build programmes with attractive facades. The ever increasing thermal requirements of current regulations can be met, and exceeded, by using high performance webertherm EWI systems, to provide a weather-proof, durable architectural facade which conserves energy, minimises heat loss and reduces CO₂ emissions. webersil P is a high quality mineral paint suitable for masonry substrates to provide a low-maintenance finish to external wall insulation systems; it can also be used to rejuvenates existing rendered substrates. webersil P is available in 160 attractive colours. Refurbished to conservation standards and with its services designed to high-performance environmental and energy-saving principles, the school matches the aesthetic of its surroundings and is integrated within a conservation area of the city centre. St Angela’s College is an example of sustainable urban development and resilient community life. It is an energy efficient and compact design, equipped to survive into the future on its historically established site challenging the tendency towards urban sprawl. 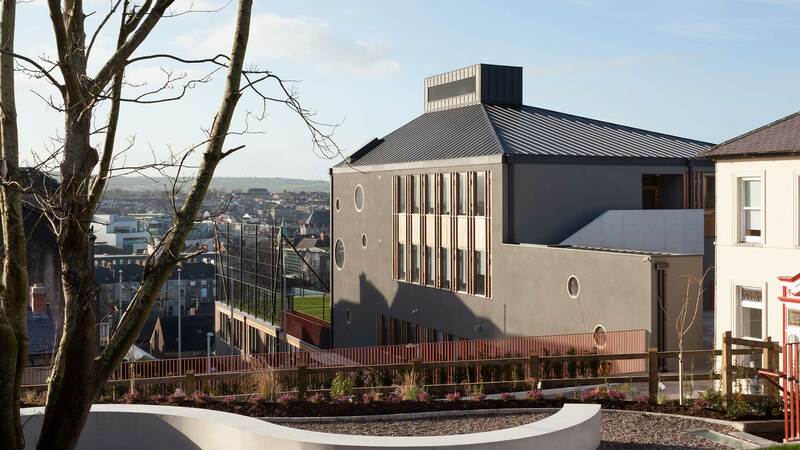 The school has been enabled, by the rigorous application of sustainable principles, to continue its educational mission as a local resource in the city of Cork.